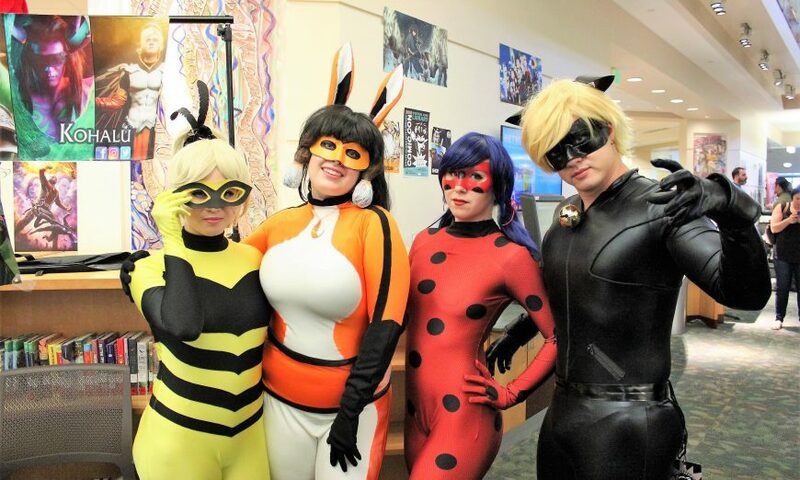 At the third annual Santa Clara City Library Comic Con held at Central Park Library on Oct. 13, an estimated 7,500 people came. Craft lovers made bowties that lit up or light sabers from pool noodles. Disney fans took pictures with princesses or attended a panel by the Walt Disney Family Museum about writing comics. Star Wars enthusiasts visited the R2 Builders’ exhibit to meet friendly robots. 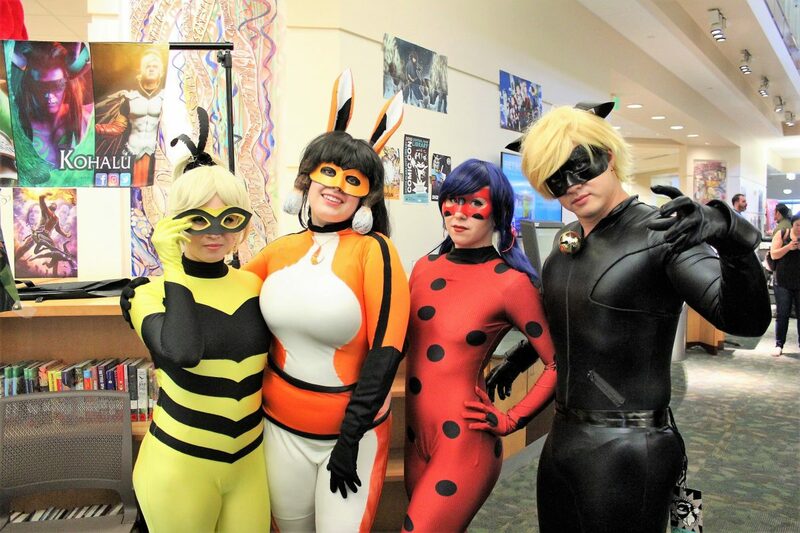 “The library really loves Comic Con because comics and graphic novels are not only a great way to get kids and teens into reading, but they’re also for adults,” said Megan Stroup Tristao, the library’s Adult Services Librarian. From Houston, Texas, graphic novelist Ru Xu is the author of “NewsPrints” and the upcoming “EndGames.” As the event’s headliner guest, Xu led a drawing session, signed autographs, and sat in a panel with fellow graphic novelist Nidhi Chanani, author of “Pashmina.” When panel moderator and librarian Kelly Quinn Chiu asked what the two artists looked forward to, Chanani expressed that she was pleased with the increase of South Asians in creative arts that she has seen. Of course, no Comic Con would be complete without fans who arrive in elaborate cosplay or costumes. Take Jay Esperanza, for example. This Comic Con attendee had on an enormous red contraption with a giant headpiece to depict a monstrous form. Esperanza had created this costume in anticipation of today’s event.